 Privacy Notice - McGrady Financial Services | Downpatrick, Co Down. In order for us to deliver such financial services and deal with any correspondence that may arise, we need to collect and process personal information. This makes us a “data controller”. The Partner named on this website will be acting as data controller of your personal information, jointly with St. James’s Place Wealth Management. This section will apply if you are a prospective client and we will need certain information about you to carry out pre-client identification and compliance checks and to set you up as a client on the St. James’s Place client relationship management system. There are a number of reasons we use your personal information and for each use we need to have a “lawful basis” to do so. We need to use your personal information to enter into the client agreement, for example, we need to use your personal information to assess whether we can provide services to you and to set you up as a client on the St. James’s Place client relationship management system. We have a legal or regulatory obligation to use such personal information. For example, our regulators require us to hold certain records of our dealings with you and we are required to report to St. James’s Place on our relationship with you. To verify your information. It is necessary to enter into or perform your client agreement. To provide marketing information by post, by telephone and in other circumstances where we don’t require your consent. Information contained in any records held by previous independent financial advisers (otherwise known as IFAs) with whom you were previously a client and which have been transferred to us when that IFA was acquired by St. James’s Place group companies. Any records held by previous independent financial advisers (otherwise known as IFAs) with whom you were previously a client and any advisers of that IFA which have been transferred to us when that IFA was acquired by St. James’s Place group companies. To set you up as a client on the St. James’s Place client relationship management system and to communicate with you in respect of your service preferences. The police, HMRC and other crime prevention and detection agencies. Third parties and self-employed contractors who we have entered into contractual arrangements with to provide services we need to carry out our everyday business activities such as business administration, partner support specialists who assist us with day to day business operations, document management providers, back office system providers, secure login and email providers, storage warehouses, IT suppliers, actuaries, auditors, lawyers, outsourced business process management providers, our subcontractors and tax advisers. We may collect details about your physical and mental health which are relevant to your the services we provide for our client (for example where you are the client’s partner and you have a medical condition which means that you are unable to work and therefore our client has a higher need for investment return and a lower risk appetite). Information contained in any records held by previous independent financial advisers (otherwise known as IFAs) with whom your family member or business associate was previously a client and which have been transferred to us when that IFA was acquired by St. James’s Place group companies. From any records held by previous independent financial advisers (otherwise known as IFAs) with whom your family member or business associate was previously a client and from any advisers of that IFA which have been transferred to us when that IFA was acquired by St. James’s Place group companies. Third parties who provide a service in relation to the management of our client’s investments or facilitate the arrangement of products we recommend such as product providers, portfolio and fund managers, insurers where our client is buying income protection products. Where we have shared your personal information with these third parties, they will also be a data controller and responsible for how they use your personal information. Their uses of your personal information will be governed by their own fair processing notices. Information which we have gathered from publically available sources such as internet search engines and generally obtained as part of the due diligence process conducted by St. James’s Place group companies. We will also provide you with information of St. James’s Place wealth management products and other third party products which we think may interest you where you have indicated that you would like to receive this. We will also provide you with information of St. James’s Place wealth management products and other third party products which we think may interest you where you have consented to receive this. If you wish to opt out of marketing, you may do so by clicking on any “unsubscribe” link or responding to any marketing email communication confirming you would like to opt out or telling us when we call you. Otherwise you can always contact us using the details set out in section 7 to update your contact preferences. You have a choice about whether or not you wish to receive marketing information from us and you have the right to request that we stop sending you marketing messages at any time. You can do this either by clicking on the “unsubscribe” button in any email that we send to you or by contacting us using the details set out in section 8. If you believe that we have breached data protection laws when using your personal information, you have a right to complain to the Information Commissioner’s Office (ICO). You can visit the ICO’s website at https://ico.org.uk/ for more information. Please note that lodging a complaint will not affect any other legal rights or remedies that you have. If you would like any further information about any of the matters in this notice or if you have any other questions about how we collect, store or use your personal information, you may contact our St. James’s Place Data Protection Officer at St. James’s Place plc, St. James’s Place House, 1 Tetbury Road, Cirencester, Gloucestershire, GL7 1FP, United Kingdom, dpo@sjp.co.uk and 01285718453. This notice was last updated on 27 March 2019.